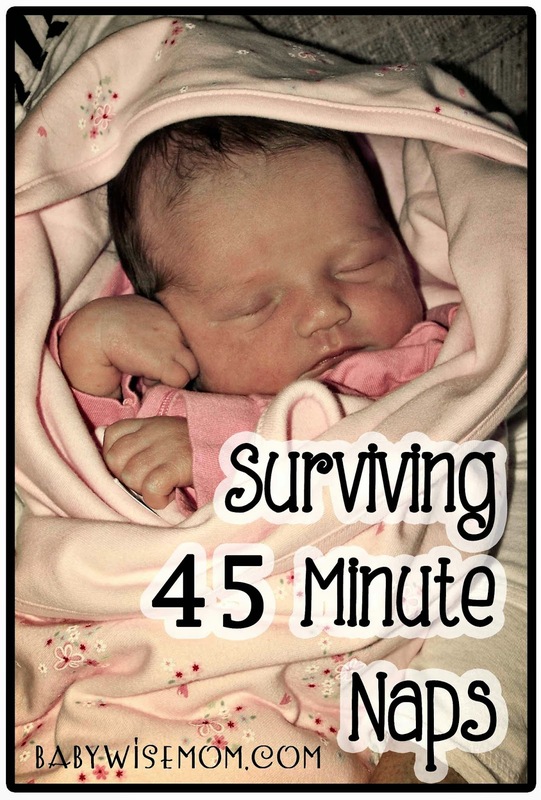 The 45-minute intruder is when your baby wakes up 45 minutes into the nap. 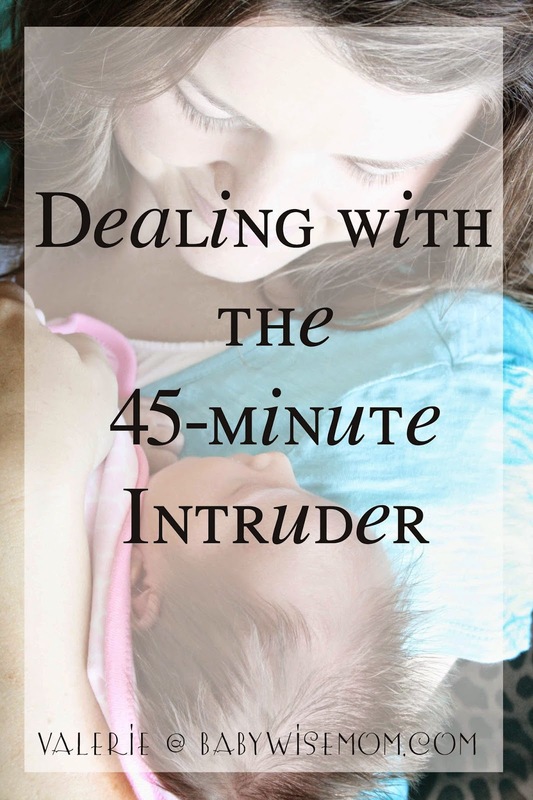 The 45-minute intruder can be quite stressful for you as a parent. 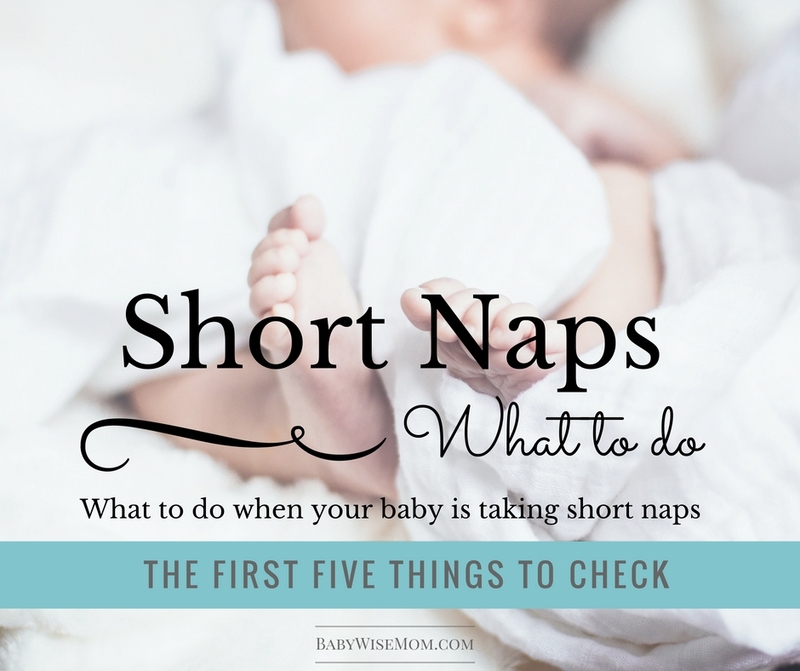 This is true whether your child has always been a 45-minute napper or if your child suddenly started taking short naps at some point. Here are some tips for dealing with the 45-minute intruder. 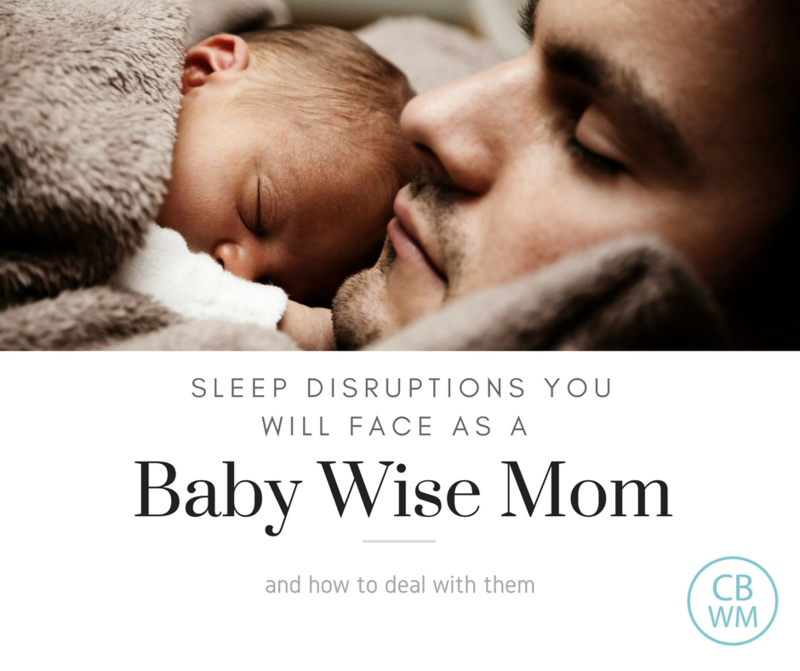 The first thing to do is to try to figure out why your child is waking after 45 minutes. Knowing why will allow you to address it appropriately. Unfortunately, figuring out why usually involves a lot of trial and error. The first thing to consider is a growth spurt. You always want to to treat it like a growth spurt first. You want to feed baby when hungry, so make sure baby isn’t hungry before you try other solutions. Growth spurts happen every 3-4 weeks usually, so it is frequently! If it isn’t hunger, I always consider sickness, pain, or teething next. Trying to address sound or light when it is a sickness or pain will get you know where but feeling guilty when you figure it out. Make it a habit to always consider the possibility of pain or sickness right after you consider hunger. 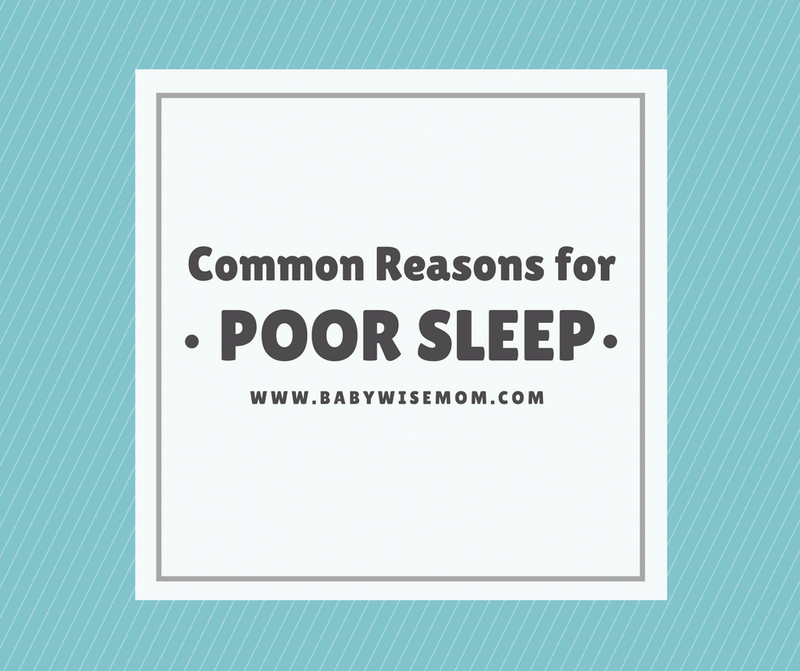 Another common reason for a baby waking early from a nap is being overly tired. You want to make sure you get that waketime length right. Know your baby’s Optimal Waketime Lengths. And realize that what is optimal at 14 weeks will be different from what was optimal at 10 weeks. This is a constantly moving target. Babies keep you on your toes for…ever basically :). Read up on The Cornerstone for Good Naps for help on how to get that waketime length right, complete with a nice infographic. Other common reasons for waking early include learning a new skill, wonder weeks, light, and noise. See a comprehensive list of reasons and what to do about it in my Troubleshooting Naps post. 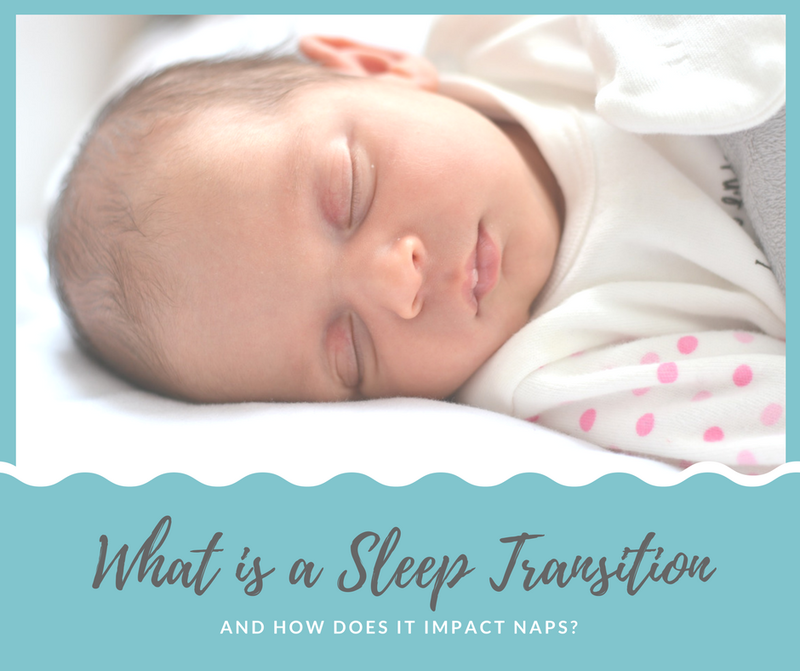 What is a Sleep Transition (and How Does It Impact Naps. 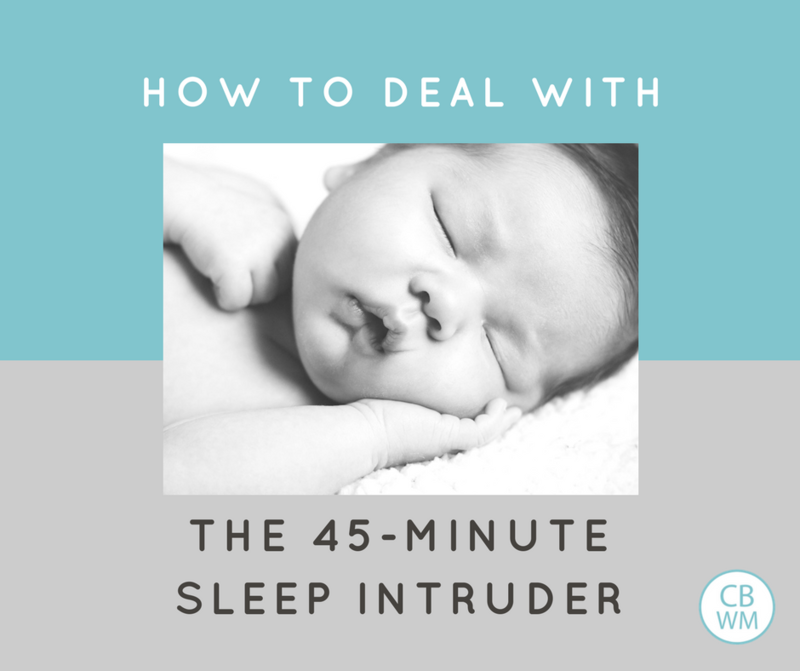 If your baby uses some sort of prop to fall asleep, there is a good chance you will encounter a run with the 45-minute intruder. 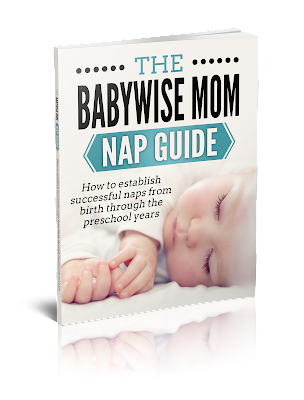 If your baby can’t fall asleep alone, your baby will need your help at that 45-minute mark. This is the time to consider, is it the pacifier? Is it the rocking baby to sleep? Honestly look at your sleep routine and decide if you want to continue it or if you want to try to remove props. People go both ways. When Kaitlyn (my second child) was a baby, I remember one day she woke early and Brayden was in the tub. I got him out as quickly as I could, dried him off, and got him dressed. From the time she started to cry to the time I had him out and ready, it had been ten minutes. And she was done crying and back asleep. That experience along with the years since in having other children besides the baby, have taught me that sometimes if you wait 10-15 minutes, the baby will just go back to sleep. So I make it a policy that if baby sounds okay (and you do get used to knowing what is okay and what isn’t), I let the baby cry for 10 minutes before I get baby. Don’t reply to every sound. You can create a 45 minute waking habit if you respond every time your baby makes a peep. You are human. You are learning. You will get waketime lengths wrong. You will overstimulate your baby. You will dress your baby to warm or not warm enough. You are going to make mistakes along the way. You won’t ruin your baby for life. So know mistakes are inevitable and don’t beat yourself up about it. There are some babies who are 45 minute sleepers. My oldest was quite consistent at the 45 minute nap until he was about 6.5 months old. The best thing to do if you are in a chronic short sleep situation is to accept that it is what it is (while still troubleshooting) and don’t take it personally. See Chronic 45 Minute Naps for more.